Kettle Corn Eats for Easter Treats! Chocolate bunnies, peeps and jelly beans, oh my! 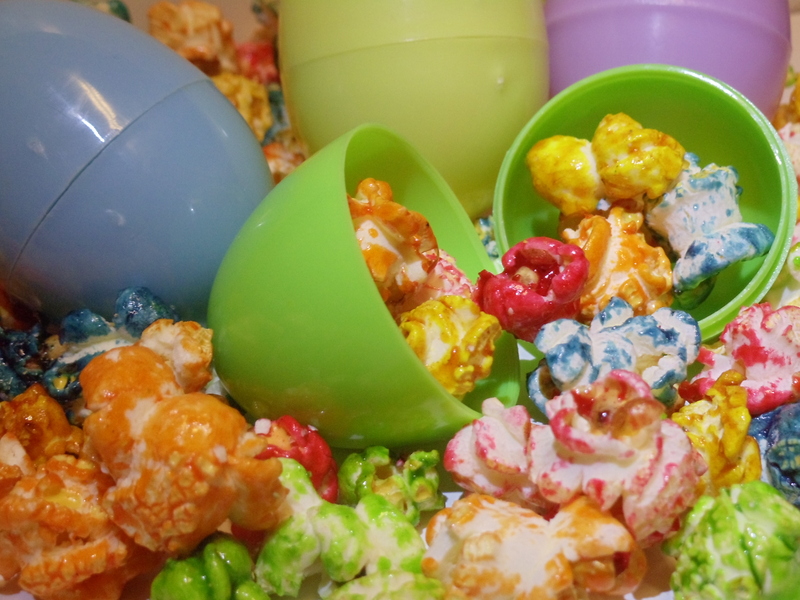 Want to create a salty-sweet one of a kind Easter basket – add our multi-colored kettle corn into the mix! Order our small bags for individual treats, the medium size for filling your baskets or order the large size to be the special prize for finding the “golden” egg! Call us to put your orders in. Easter Sunday is April 8th.